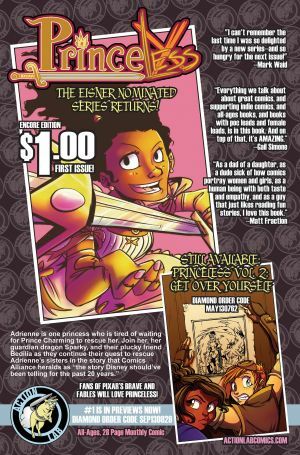 Action Lab relaunches their Eisner Nominated title PrinceLess. Check out what the these comic book fanatics and creators have to say about it! "Princeless really is the kind of comic book that deserves the attention it has gotten. Princess Adrienne is a great substitute for the atypically portrayed fairy tale princess. Packed with action and fun, PrinceLess is one title that you shouldn't be passing up!"